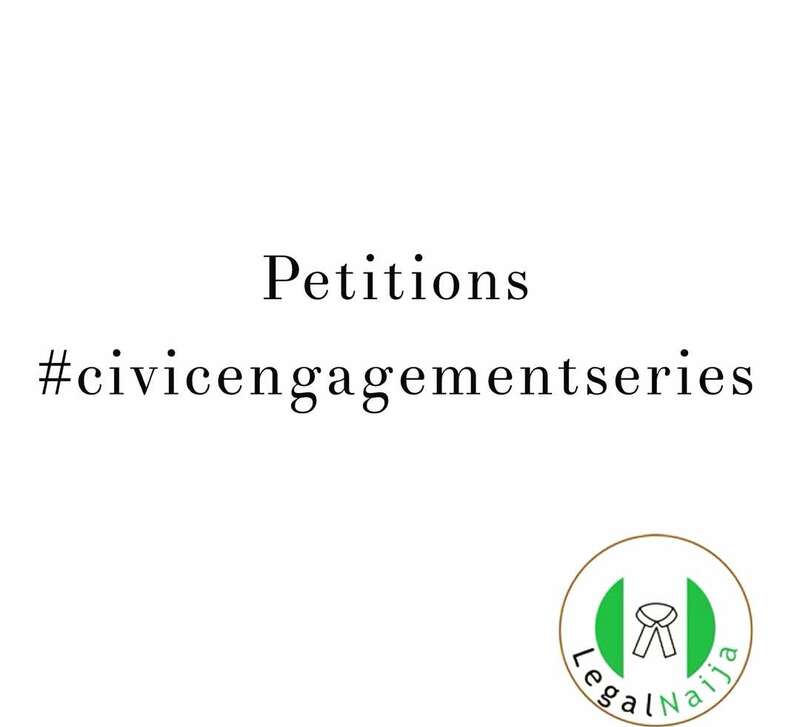 Petitions could be a potent weapon in the hands of the citizenry and an effective tool for engaging with govt or demanding a position from government. Examples include petitions that sought the release of Nelson Mandela during his imprisonment by the apartheid government of South Africa. Other instances are online petitions used the organisations and persons to cause govt to act in a certain way. 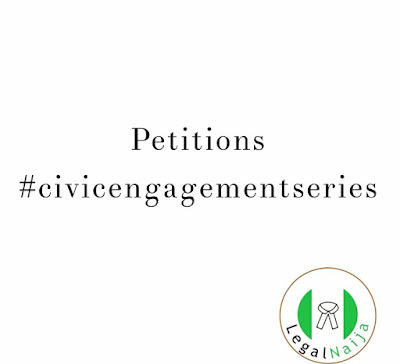 As a Nigerian, if you are unsatisfied with a position of government, you may start a petition that seeks to change the situation and the more people sign your petition, the more credibility it receives. You may also use a petition to call the attention of government to issues of importance to your community. For instance, a petition circulated in your community for repair of public infrastructure.